Chocolate is important for the Valentine’s Day. For decades this popular candy has been a favorite companion on February 14. Chocolate was discovered it was considered valuable, divine, and delicate, so what better gift to give a woman? This amazing food can provide you with countless health benefits, while leaving a sweet taste in your mouth, especially dark chocolate can actually be good for you! 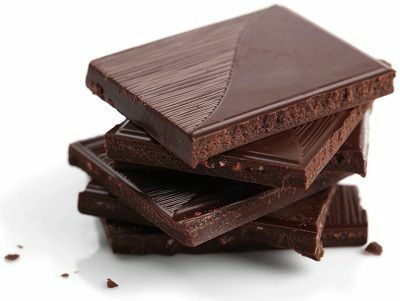 In this article, I will share with you the dark chocolate health benefits, it’s enough to put a smile on anyone’s face. It also has plenty of potassium, phosphorus, zinc and selenium. All these nutrients also come with 600 calories and moderate amounts of sugar. So, experts recommend sticking to no more than three ounces of the sweet stuff per day. Epidemiological studies pretty consistently show that dark chocolate consumption is related to lower blood pressure readings. The flavanols in dark chocolate can stimulate the endothelium, the lining of arteries, to produce Nitric Oxide (NO), which is a gas. One of the functions of NO is to send signals to the arteries to relax, inducing vasodilation and improving endothelial function, therefore reduces blood pressure. Researchers at the Oxford University studied long term effects of chocolate consumption on human brain. The research showed that elderly participants who consumed chocolate drinks containing high levels of flavanols, had improved mental performance after only 8 weeks. Dark chocolate increases blood flow to the brain as well as to the heart, so it can help improve cognitive function. Cocoa also contains stimulant substances like caffeine and theobromine, which may be a key reason dark chocolate can improve brain function in the short term. Dark chocolate is rich in flavonoids — known to have heart protecting effects. In a study carried out over 15 years, participants who regularly drank cocoa cut their risk of dying of cardiovascular disease by up to 50%. It also promotes good circulation because of its blood thinning and anti-clotting properties. Dark chocolate contains several chemical compounds that have a positive effect on your mood. An important chemical called phenylethylamine (or PEA) is present in dark chocolates. It is the same chemical that the brain creates when you experience the feeling of love. It encourages the release of endorphins, which is a chemicals in the brain that bring on feelings of pleasure. Dark chocolates also contains the serotonin, which acts as a natural anti-depressant, and so eating dark chocolate makes you feel a whole lot happier. The bioactive compounds in dark chocolate may also be great for your skin. Cocoa helps reduce stress hormones, which means less collagen breakdown in the skin, and fewer wrinkles. Flavonoids in dark chocolate absorb UV light, help protect and increase blood flow to the skin, and improve skin’s hydration and complexion. Here is a great chocolate face mask for all skin types, this mask will help smooth out wrinkles, lighten blemishes, and give your skin a healthy glow. Thank Sarah Murphy for offering recipe. Melt the chocolate in a microwave for 2 to 3 minutes, allow to cool but not set. Mix the sea salt, brown sugar, and milk together in a bowl. Mix all the ingredients together and apply to the skin.